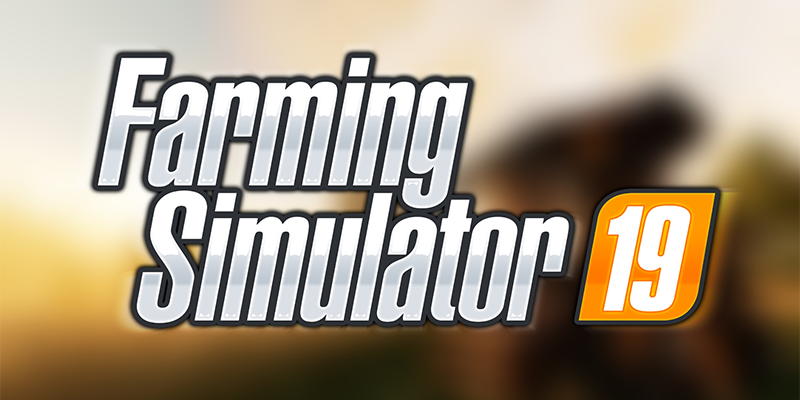 After there was no Farming Simulator 2018 for the PC, Giants Software provided an extensive “update” of the much longer version of the 2017 Farming Simulator as a 2019 version. The 2019 version is not an update in the true sense, it is a stand-alone game. We in the editorial just say update, because the innovations of the software in the true sense are nothing else. Why this is so, you read now. The Farming Simulator 2019 comes with a few new features, including the biggest innovation in advance. The graphics of the simulator were really improved. The improved shaders convince us because they look very natural to us. The physics have also been improved within the game, so you can now see the plants move away from you when you walk through them or drive through them with a vehicle. The latter should not be done, however, because the crops are destroyed by it and thus receives less income. Terraforming was added in a recent update, but this only affects the map editing options. A deformation of the soil, as with “Cattle and Crops”, one can not expect, if one drives over the fields and prepares these for the sowing. We also noticed the improved 3D models of the different vehicles. For example, you can see turning the radiator fan on a tractor. Also with the animals there was a small innovation. From now on it is possible to breed your own horses. Like the other animals, they have to be fed and cared for. A big difference to all other animals here is that the horses also need regular exercise to increase in value, because only trained horses can be sold for a lot of money. Other small improvements can be found in the menus of the Farming Simulator, where you have forgotten minor details or rather clumsily implemented. For example, it is very difficult to tell which crops you have, as they are only represented with symbols without help text. However, we did not like the entire menu navigation in the editorial office, because the many options can only be reached in a confusing manner. It was basically the same with the new features. The vehicles have largely remained the same, even in older versions purchased vehicles must be purchased again and again and the structure of the game is modeled exactly on the predecessors. The controls are the same, the missions are the same, in fact everything stayed the same. There is no actual innovation that knocked us off. That’s why we in the editorial office only speak of an “update”. So if you own the Farming Simulator 15 or 17, you do not have to have high hopes for a new gaming experience. Who wants this, should look at the current competition. But if you do not have a Farming Simulator yet, you can access it here, because apart from “Cattle and Crops”, there is no serious competition for the Farming Simulator, which you should take a look at. Conclusion: The Farming Simulator is a solid simulation when it comes to running your own farm. The graphics are nice to look at and the game offers many opportunities to make his dream as a farmer come true. The gameplay is simple, but offers little change compared to its predecessor. By and large, the game is a recommendation for new players. Owners of the 15 or 17 version are quickly bored, since this is basically the same game and you can easily add the new features via mod.